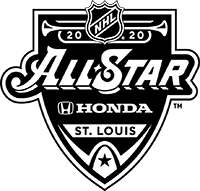 Casual NHL fans watch the 2019 Honda NHL® All-Star Weekend at home. True fans make the magic of the event happen in San Jose. These event hosting/guest relations jobs are perfect for the ultimate fan - hop out of the penalty box, grab a uniform and get ready to tell your friends about the time you worked the 2019 Honda NHL® All-Star Weekend.